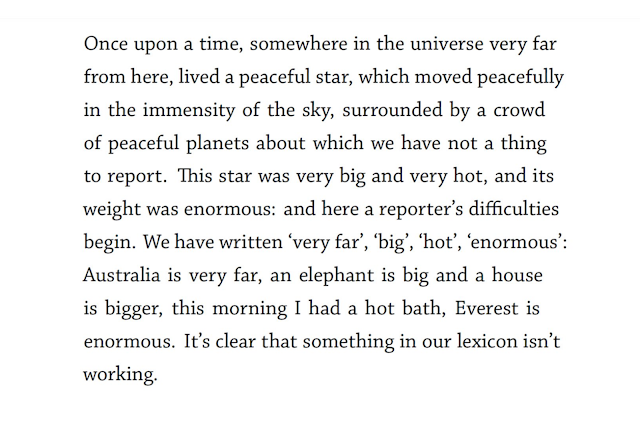 In 1978, the Italian writer Primo Levi (1919--1987) published an exquisite short story called A Tranquil Star. 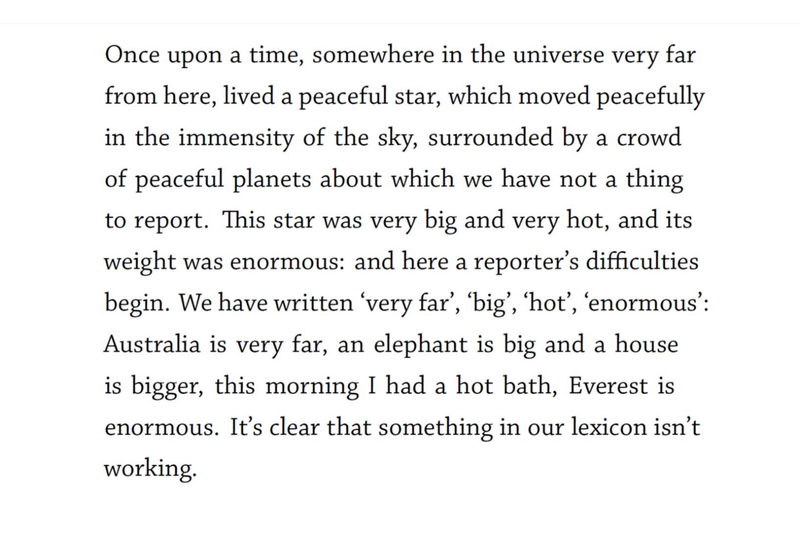 Amongst other things, in this story Levi explains how difficult it is to use common language to describe objects that are much smaller, bigger, shorter lived or longer lived than we can directly experience as humans. The story was translated by Ann Goldstein and is in the New Yorker HERE.